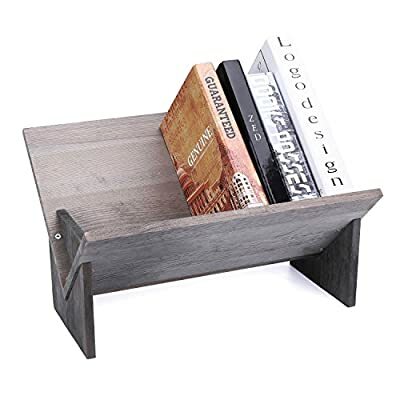 RUSTIC DESIGN: 16.5-inch tilted wooden tabletop bookshelf in barnwood gray finish. 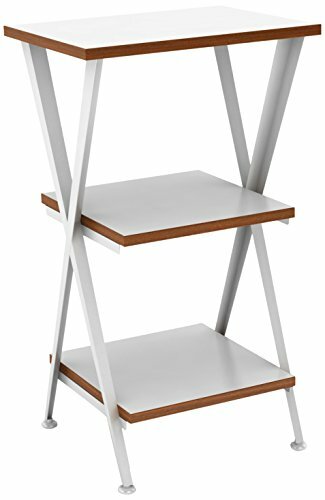 PRACTICAL DESIGN: A unique desktop book rack with upward-tilted design makes for easy access your books and magazine. MULTIPURPOSE: Used to store frequently used reference books, magazines or cookbooks in the kitchen. 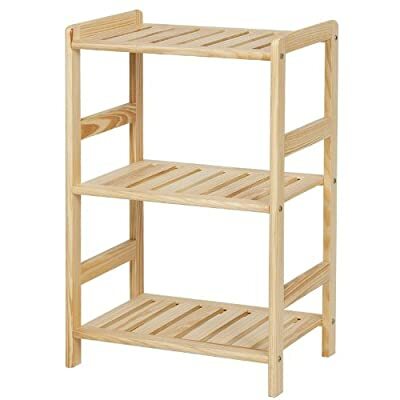 Industrial Ladder Shelves-Easy to install and Folding design-Clip the shelves into the iron frame, install is over. Remove the shelves and folding frame, under to your bed or in the closet when you’re not needed saves space. 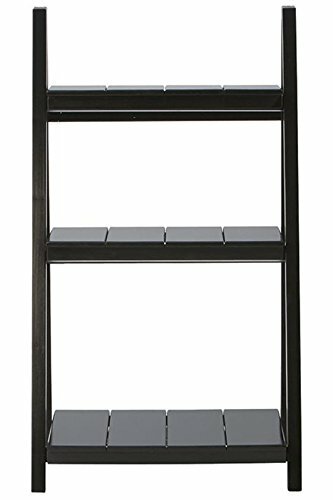 Industrial Ladder Shelves-Strong and stable structure- Sturdy black coated iron frame with two oblique sidebars and extra back bars for better stability and resistance, Load Capacity of Each Tier: 80 lbs (36 kg). 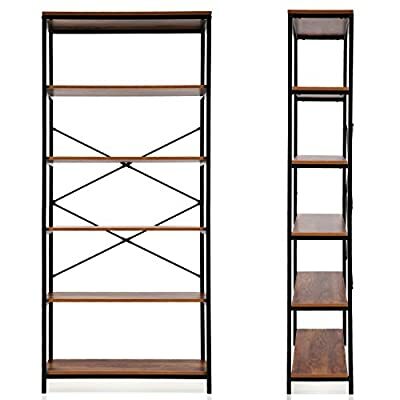 Industrial Ladder Shelves-LARGE SHELF SPACES -The space between the shelves is 12.3Inches, allowing a large storage area for your multiple items, books, family photos, frames, devices, utensils or plants. 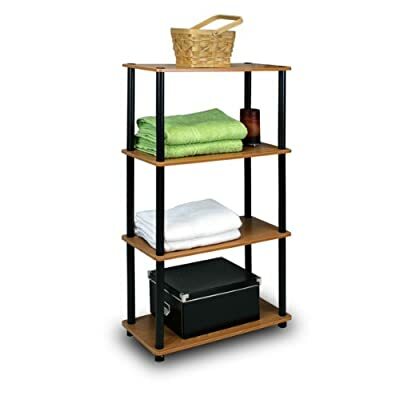 ➤Space-Saving—4-tier open shelving unit gives you ample area for placing toiletries, towels, sundries, shoes, books, plants, spice, or organizing books, office supplies, photo frames and other objects, and keeps your home neat, tidy and organized. You can place it in any limited space, in your bathroom, office or living room etc. 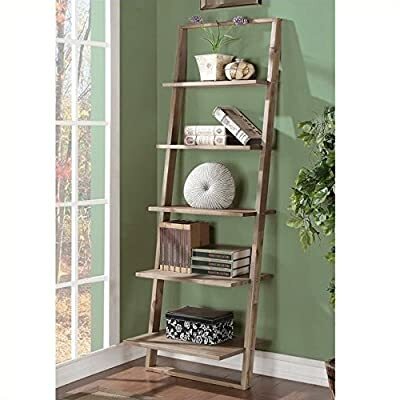 ★4-Shelf Ladder Bookcase: Organize your books in any room around the house, and store and display any other belongings of your choice, with this versatile 4-Shelf Ladder Bookcase. 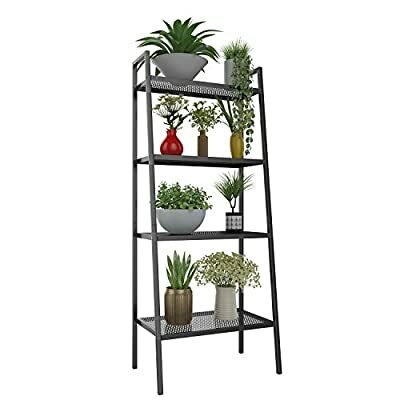 ★Vintage Design: This durable 4-Shelf Ladder Bookcase has a super cool design that is sure to add a fun touch to the decor of any home and measures 22.1″L x 13.4″W x 53.9″H. Its fun vintage design adds a touch of whimsy to what could otherwise be a boring bookshelf, and brings some flair and style to whatever space it finds itself in. Don’t worry at all about it falling over – you can conveniently put it near the wall. ★Premium Meterial: It is made of a strong and durable Iron and Chipboard material, and comes in an wood Look accent that will fit right in with any room. 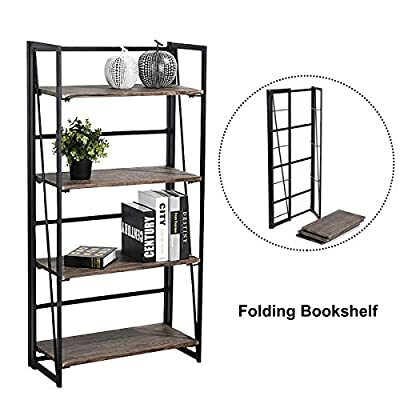 This reliable bookshelf has extremely spacious shelving planks, so that you can fit a decent number of books, picture frames, or mementos on each level. Each one can impressively hold up to 12Ibs, allowing you to store and display even your heaviest books and keepsakes. 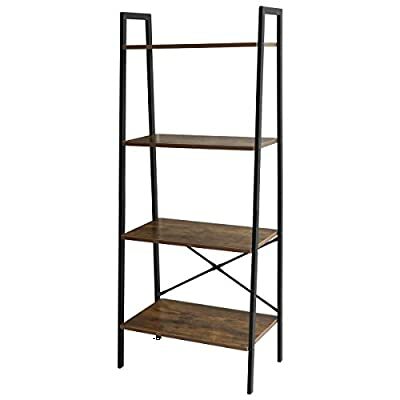 【Modern Rustic Industrial Style】This shelf fits perfectly various places, home, office, living room, bedroom, study or bathroom. 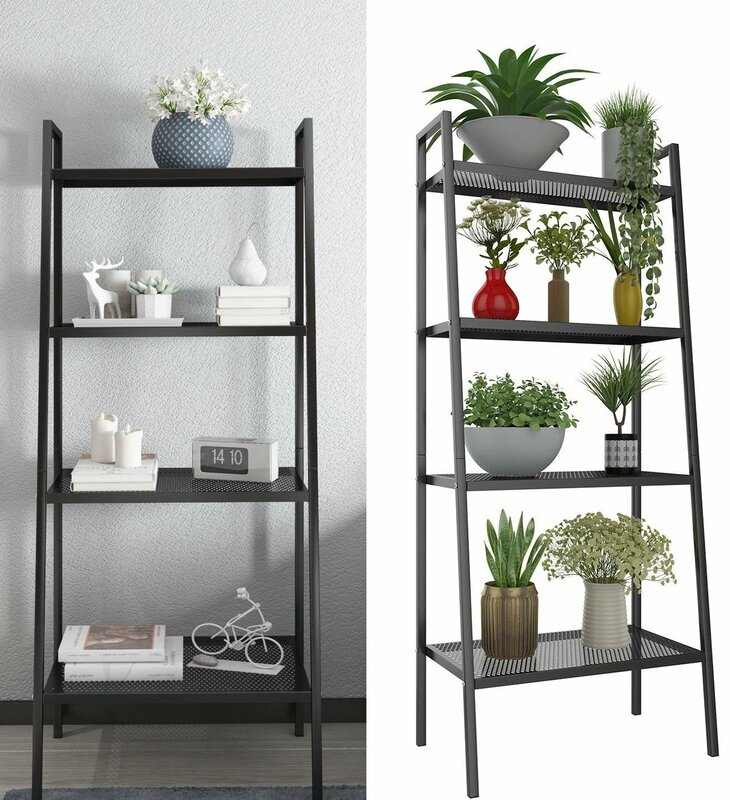 GOOD MATERIAL: Made of high quality sturdy iron material, this 4 tier bookcase is stable, durable, non-toxic, and with surface paint treatment, making the shelf looks more stylish and generous. 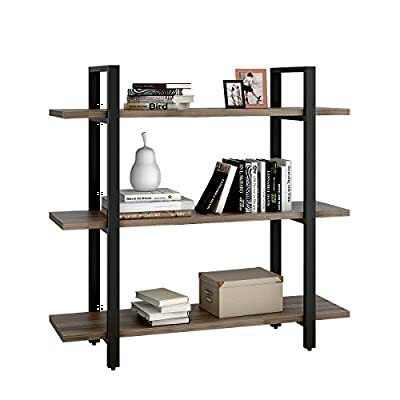 NICE AND PRACTICAL RACK: Stylish and durable bookcase, sleek design, metal trapezoid construction, support up to 66lbs of evenly distributed weight. Design with adjustable feet perfectly keep the unit balanced, and several protection pads on the back prevent walls from scratches. 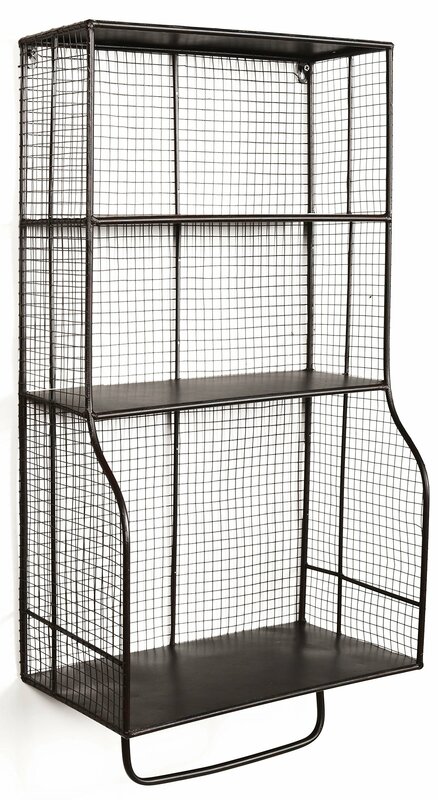 MULTIFUNCTIONAL: This storage rack is suitable to be placed in the hall, living room, bed room, balcony,etc. 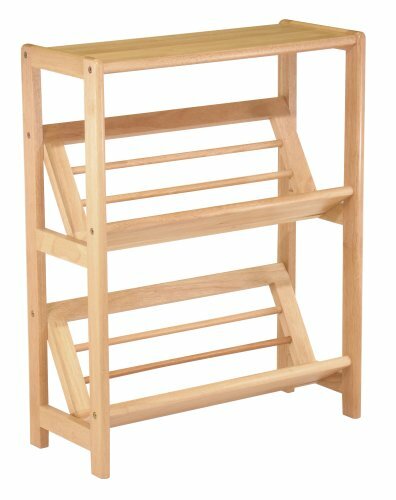 And with the 4-tier open shelving unit gives you ample area for placing toiletries, towels, sundries, shoes, books, plants, spice, or organizing books, office supplies, photo frames and other objects. 42″H x 24″W x 16″D. 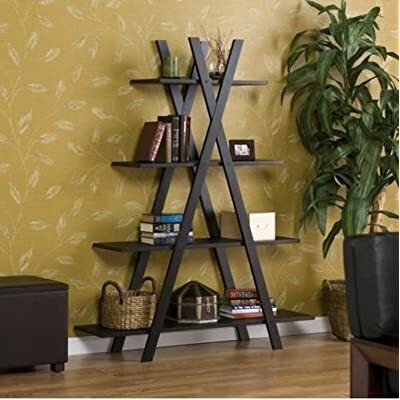 Trendy Book Shelf Great as Living Room or Office Furniture. Book shelves are perfect for Books or Media. SALE! 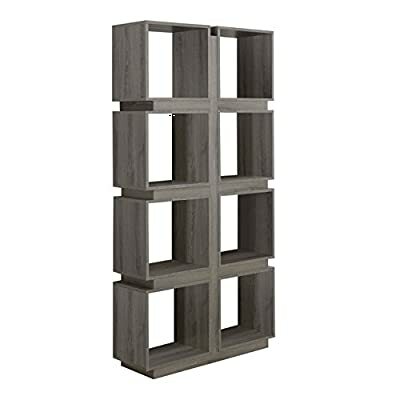 This wood Bookcase Will Store Your Books or Display Decorative Items and Heirlooms. Perfect for Bookshelf Speakers as well. 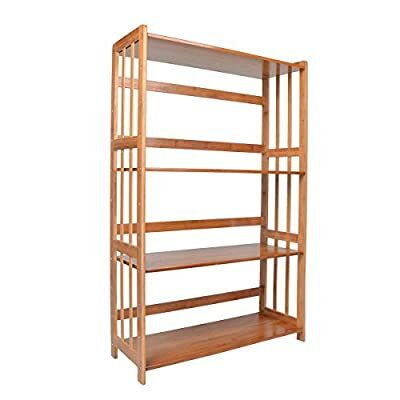 The Bookcase Measures 13″ X 32″ X 54″ and Weighs 55 Lbs. Arrives with Only Minimal Assembly Required. 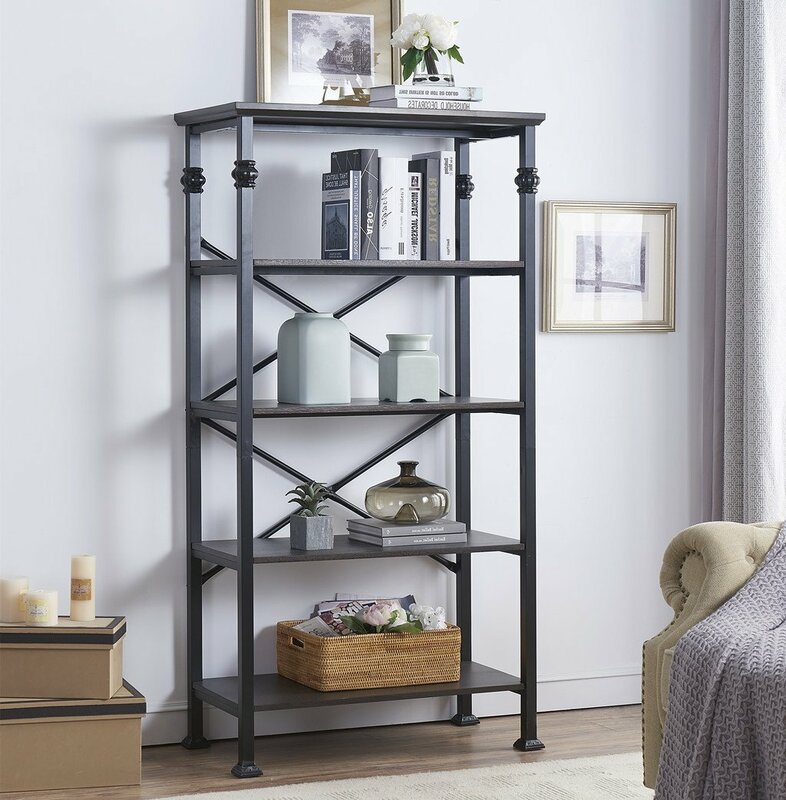 Showcase Your Favorite Books, Pictures, and Collectibles on this Antique White Bookcase for You and Your Guests to Admire. 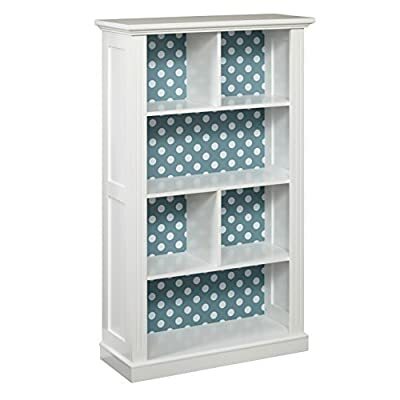 With a Reversible Back Panel that Features a Solid Gray on One Side and Blue and White Polka Dot Pattern on the Reverse Side, the Bookcase can Transition from Room to Room with Ease. 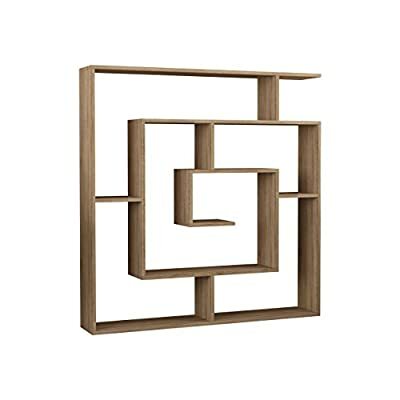 Featuring 3 Open Shelves and 1 Divided Shelf, the Bookcase is Unlike Any Bookcase You’ve Owned. Decorative Molding and a Beveled Top give the Bookcase an Added Sophistication.